What do you think caused the Hunley to sink? The Hunley became the world’s first successful combat submarine when it sank the USS Housatonic on February 17th, 1864. Once the torpedo had detonated on the Housatonic, the submarine signaled to shore she had completed her mission and was on the way home. Confederates on shore lit a fire to help guide the submarine back to land, but instead, the Hunley disappeared into the sea. We may never know exactly what took place on that fateful night, but over the course of the last 150 years, there have been plenty of theories. Perhaps one of the most obvious and popular theories is the explosion that caused the Housatonic to sink also crippled the Hunley by damaging the submarine or incapacitating the crew. This could very well prove to be the cause if the Hunley was too close to the torpedo when it detonated, which recent findings show was only about 20 feet away. Being this close could have caused damage to the sub, causing water to come rushing in, or the concussion could have knocked out the crew. This theory was further advanced when the Hunley was recovered with several large holes in its structure visibly apparent; however, we are now learning this damage was caused by Mother Nature. It appears most of the breaches happened a long time after the night of the attack due to the hostile underwater environment and the abrasive effects of the tides. To account for the fact that no evidence was found to suggest the crew was desperately struggling to exit a damaged submarine to avoid drowning, the concussion theory still holds water. In this scenario, the torpedo’s explosion didn’t damage the submarine but caused a concussion strong enough to stun or knock out the crew. This would have rendered them incapable of immediately navigating home, possibly leading them to perish due to a lack of oxygen or through the inability to take any steps to save their lives. Manually cranking the 40-foot submarine to its target over four miles off shore was hard work. To help offset the physical difficulty of the task, we know the Hunley crew carefully planned their mission with the tides. On the historic night, the submarine departed and rode with the ebb tide. After the attack, the crew would certainly have been exhausted and in need of rest while waiting for the tide to assist them on the journey home. It is possible they settled on the bottom of the seafloor to wait for the tides to shift while also avoiding potential detection and gunfire from other Union ships quickly closing in to rescue Housatonic survivors. While submerged, they may have miscalculated their oxygen supply and died of asphyxiation or while trying to return for some reason, the submarine may have gotten stuck on the ocean floor and unable to rise to the surface. This theory is supported by the placement of remains in the submarine and at least one exit to the submarine being locked and sealed shut. Also, a cold front causing a storm system moved through that night around the time of the attack, meaning it would have been much more difficult to crank the submarine back to land. Blue lights were the Hunley’s signal to shore that her mission was successful. 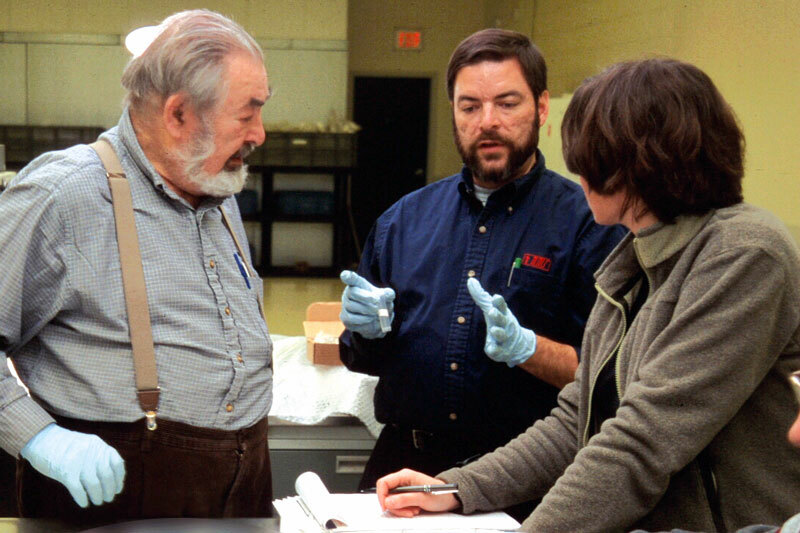 Fleming’s testimony suggests the Hunley did indeed survive the mission. However, if the Canandaigua was moving quickly to get to the scene, she could have clipped the Hunley in passing. The impact created may have been undetectable by the Canandaigua’s crew, but deadly to the Hunley. The damage could have caused the Hunley to take on water or else to lose balance and tumble to her demise. After seeing the surprise explosion, all the Union ships blockading Charleston Harbor hurriedly moved in to rescue survivors. The massive movement of ships would have created large wakes, adding tremendous volume to the already choppy waters off the coast of Charleston. 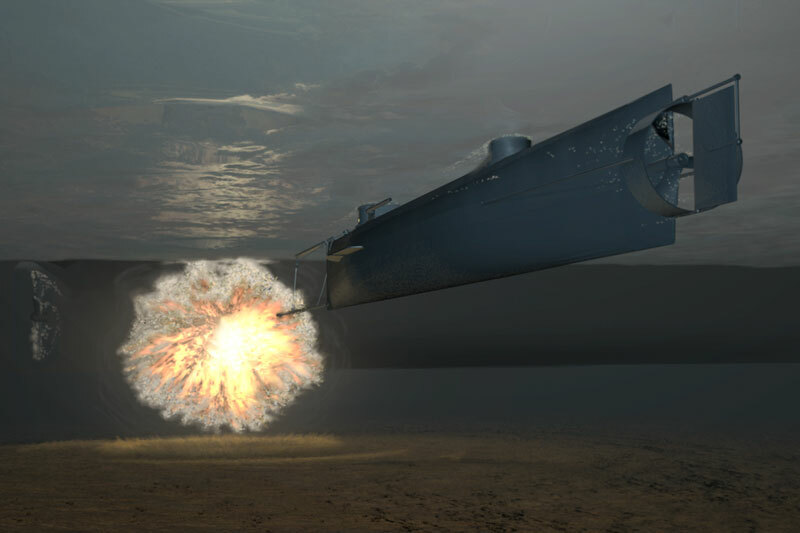 The water displacement could have been hazardous for the Hunley. If Dixon opened the forward hatch to replenish oxygen or to display the blue light signal, a large swell or wave could have swamped the vessel. With too much water onboard, the submarine could have been thrown off kilter or lost buoyancy. 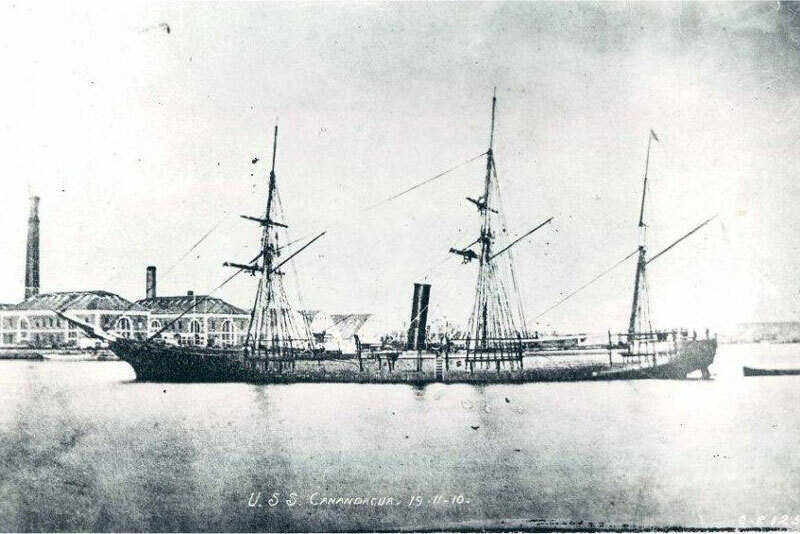 On its mission to rescue the crew of the sunken Housatonic, the USS Canandaigua is speculated to have collided with the Hunley. We know the crew had a candle onboard for visibility and to help monitor oxygen levels within the sub. They also had glass port holes along the top of crew compartment and in the conning towers. Aware that any light emitting from the submarine could alert the enemy to their presence, the Hunley was prepared to go into “blackout” mode where all view ports would be covered. However, the forward conning tower’s view ports were used by Captain Dixon for navigation. It would have been necessary for him to leave at least one port open so he could see outside to conduct the attack. A light gleaming through that one window may have provided a bull’s eye target for Union soldiers. Records tell us Housatonic sentries spotted the Hunley shortly before the attack and opened small arms fire on the vessel. The fragile glass in the view ports was one of the most vulnerable areas of the submarine. The Lucky Shot theory speculates Dixon himself may have been hit by gun fire through the glass port. Without a captain and water entering the submarine from the shattered glass view port, the crew may have been unable to make their way home. This theory is supported by the fact that the only view port missing from the entire submarine is on the forward conning tower by Captain Dixon’s station. Also, scientists have discovered the damage to this area happened early, perhaps on the actual night of the attack in 1864. However, forensic analysis of Dixon’s skeletal remains show no damage to the cranium or any other active bone wounds for that matter. But this does not rule out the possibility of wounds to soft tissue that may have incapacitated the captain. Perhaps most importantly, no bullet has been found within the submarine.